The effectiveness of any law enforcement agency is dependent upon public approval and acceptance of police authority. To that end, the Medford Township Police Department is committed to providing formal procedures for the processing of complaints regarding individual officer performance. The Medford Township Police Department maintains an internal affairs function consistent with the guidelines established by the New Jersey Attorney General. All citizen complaints will be accepted and investigated. Complaints against officers shall be accepted in person, over the phone, in writing, through a third party, or anonymously. Complaints will be accepted at any time regardless of age, race, ethnicity, religion, gender, sexual orientation, disability, or immigration status. The Chief of Police ultimately bears the responsibility for the internal affairs function. Currently, the internal affairs function falls under the Office of Professional Responsibility, headed by Lt. Arthur Waterman. He may be reached by phone at (609) 654-7511 x108 or via email at awaterman@medfordpolice.org. Should you wish to file a complaint, you may complete the two forms and either mail them to 91 Union Street Medford, NJ 08055 or you can email them to rmeder@medfordpolice.org or awaterman@medfordpolice.org. 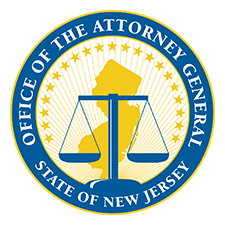 In accordance with the New Jersey Attorney General Directive, the Professional Standards Summary Report can be downloaded below. Any questions on the report can be directed to Lt. Waterman at (609) 654-7511 x108.